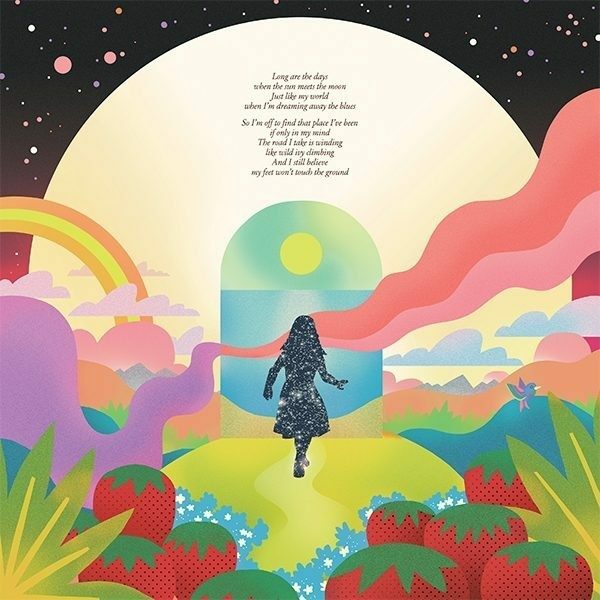 The poster features a lyric quote from the song “I Am A Dreamer” found on the Strawberry Wind album. The poster is a digital archival print, matte finish on heavy paper stock, sized 22”x22”. Ships rolled in a heavy cardboard tube.